Download the CHF CHIC DNA Application here! 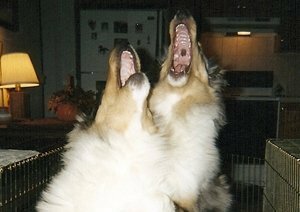 Contributing to this project will be one of the most important things you can do to preserve the future of the collie breed…Learn More! Click Here for CHIC Site! This online form is anonymous, and will only be used to help keep other collie owners informed of possible health problems…Fill Out Form! Scan or copy your receipts and email them to CHF Assistant Treasurer, Barbara Cleek, Barbara@lochlarencollies.com. Please CC Treasurer, Karen Anderson, treasurer@colliehealth.org OR mail your receipts for reimbursement to: Collie Health Foundation, Inc., Barbara Cleek, Assistant Treasurer, 19631 SW Eagle Pt Rd., McMinnville, OR 92128.